All resolutions upto, and including SD (Standard Definition) 480i, 480p, 576i, 576p, + HD (High Definition) 720i, 720p, 1080i, 1080p, 4k, and beyond. Protected Bluray, HD-DVD, AVCHD, DVD, CD discs. ● LAV Video decoder 0.74.1 x86. ● LAV Video decoder 0.74.1 x64. ● XviD Video VFW (Encoder) Codec v1.3.5. 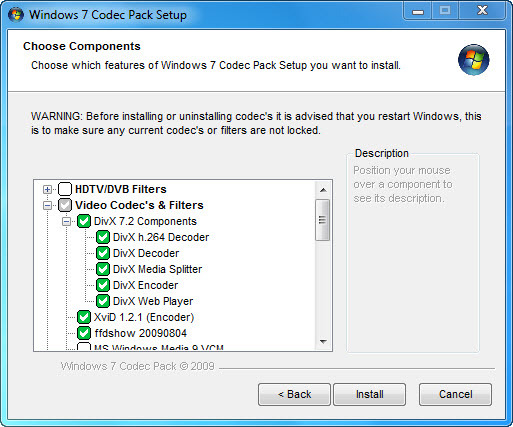 ● x264 Video VFW (Encoder) Codec v44.2851. ● Lagarith Video VFW (Encoder) Codec v1.3.27 x86. ● LAV Audio Decoder 0.74.1 x86. ● LAV Audio Decoder 0.74.1 x64. ● Sony DSD Decoder 1.0. ● madFLAC Decoder 1.1.0 x86. ● Haali Media Splitter/Decoder 16/09/11 x86 - For MP4, MKV, OGM and AVI files. ● Haali Media Splitter/Decoder 16/09/11 x64 - For MP4, MKV, OGM and AVI files. ● LAV Splitter 0.74.1 x86. ● LAV Splitter 0.74.1 x64. ● xy-VSFilter/DirectVobSub 3.0.0.211 x86 - Subtitle Reader. ● xy-VSFilter/DirectVobSub 3.0.0.211 x64 - Subtitle Reader. ● CDXA Reader v1.7.13 x86 - Also known as Form 2 Mode 2 CD or XCD. ● CDXA Reader v1.7.13 x64 - Also known as Form 2 Mode 2 CD or XCD. ● Application Tuning - Changes the default settings for Media Player Classic, NVIDIA 3D Vision Player, and Stereoscopic Player. ● Media Player Classic Home Cinema 1.8.6 x86 - Selectable by right clicking on any file. ● Disc Handler - For double click playback on BluRay disc icons in Windows Explorer. ● Codec Settings GUI - Allows the user to modify codec, graphics and sound settings. 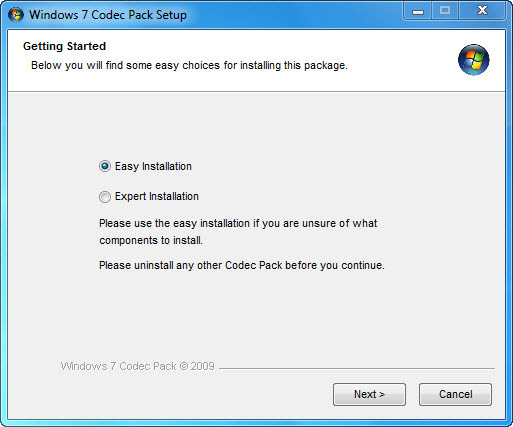 ● Codec Settings UAC (User Account Control) Manager - Copies settings between users. ● Update Checker - Checks for updates once every 7 days (Administrator only). ● Tray Menu - Gives easy access to codec utilities and allows fast audio profile switching.